At the ReStore, we have you covered when it comes to repainting your home. 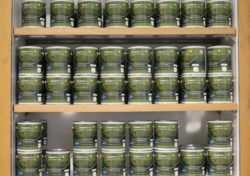 We always have GreenSheen eco-friendly paint and paint products in stock. 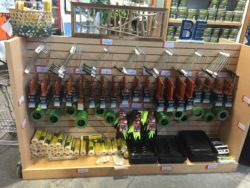 There are a variety of colors to choose from and we offer 1 and 5 gallon buckets. 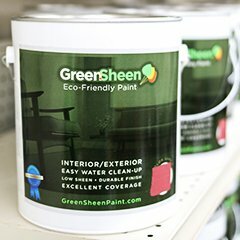 GreenSheen is a company that specializes in paint disposal and recycling. They produce eco-friendly latex paints and the ReStore offers them at discounted prices.